Let me just say that I have strong feelings for this particular study tip. You see, until just over a year ago, it was the only thing I did to study. Of course, i read the material, but after that it was all quizzing. And I got the best grades at my school. So quizzing. What do I mean by that? Well, there are several ways to do it. What I did was that I’d read through the material, and then my mum would ask me questions about everything, and I mean everything, that was covered in those pages. We’d discuss around my answers and she would correct me where I was wrong. However, you can also do this if you don’t have a mum that’s as patient as mine (because seriously, we’re talking every test in every subject, for 11 years. Bloody hell). To this day I quiz myself in preparation for my tests, even though my mum can’t help me anymore. 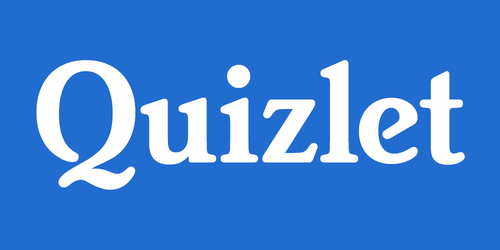 The main thing I use, is Quizlet. Here you can create flashcards, and then you can either just practice the flashcards, you can have the website make them into a test, or you can have it, you guesses it, quiz you in them. I think this is super useful for subjects like History where I need to remember dates, or for Chemistry and Economics when I need to memorise definitions. You could probably also use it for formulas though. So yeah, I’d definitely recommend quizzing, whether you get an actual person to quiz you, or just use a website like Quizlet.